Traffic is a nightmare. Creeping along bumper to bumper on the freeway during rush hour is hardly an efficient use of your time, and you sit behind the wheel thinking of all the other things you could be doing. Golf. Helping your wife with dinner. Playing with the kids. Your job is important to the well-being of your family, which is why you sit, day after day, staring at the car in front of you with the same goal as everyone else around you: to get home. Imagine a slightly different scenario. While you’re wrapping up some last minute business at the office, an 8.1 earthquake strikes. The rumbling lasts for three minutes and practically levels most of the city’s infrastructure. Several key bridges along your commute have collapsed, and there’s no practical way home, except by air or by foot… and you’re fresh out of helicopters. 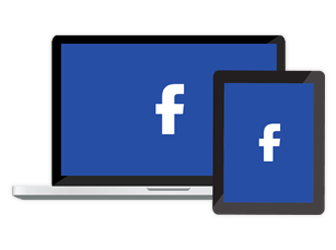 There’s no cell service; your thoughts immediately turn to your family. Getting home just became Priority One. Because you’re prepared, sitting in the trunk of your car is Echo Sigma’s Get-Home Bag (GHB), a lifeline that will be your ticket home no matter what situation is thrown at you. Forty miles usually takes you an hour by car, and since the shadows of most city centers fall on crime-ridden urban areas, you’ve only got a couple of hours before nightfall to make it through. Try to look unimportant. Remove your tie and cufflinks. Blend in. Put on the running shoes you keep under your desk and wear an old sweatshirt or jacket. Remove anything from the outside of the GHB that would give anyone any reason to suspect it is nothing but an ordinary red backpack. The GHB is your salvation; you mustn’t allow anyone to take it. Your emotions are in overdrive and your body will be using a lot of fluids. It is important to stay hydrated long before you realize you’re thirsty. 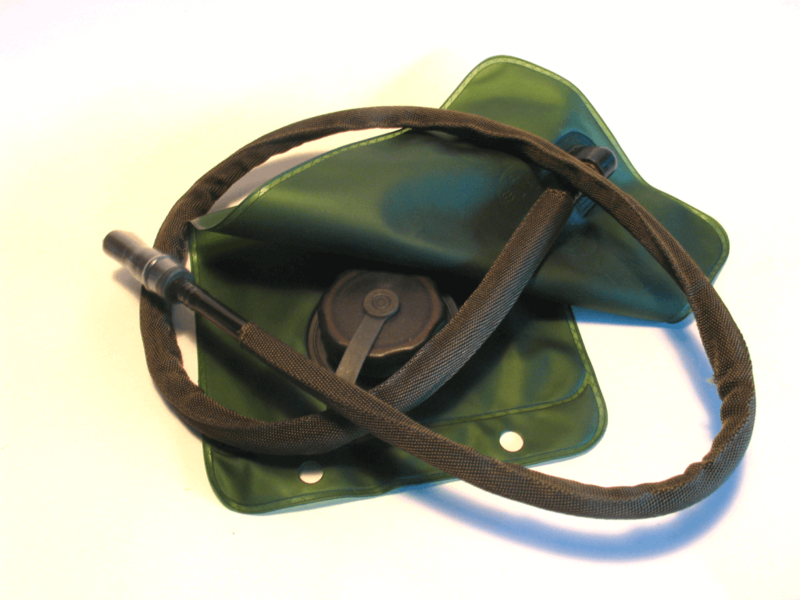 The Condor Outdoor 2.5-liter hydration bladder has a wide mouth and is easily filled. It fits in the pocket closest to your back and includes a pressure-fed tube. Since you’re looking at a two-day journey, there is an additional 2.5 liters of water in pouches good for five years (Echo-Sigma uses AquaBox and Mainstay brands, but luckily your kit comes with Mainstay pouches so the bulk has been cut dramatically compared with AquaBox; the pouches pack better and result in less trash). The 2.5-liter hydration system is from Condor Outdoors and fits snugly in the back pocket of the pack. The feed line has a compression squeeze release, and the opening is large for easy filling. 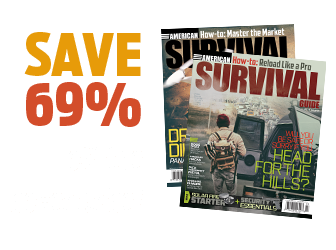 Hopefully you won’t need it, but if you run out of water, there is in the included Compact Survival Kit a bottle of water purification tablets for an additional 25 quarts of water, provided a source can be found. How many rivers do you pass on your commute to work? About a mile from the office, a series of fires line both sides of the streets. Visibility is poor and the smoke drifts through the ruins in thick clouds. 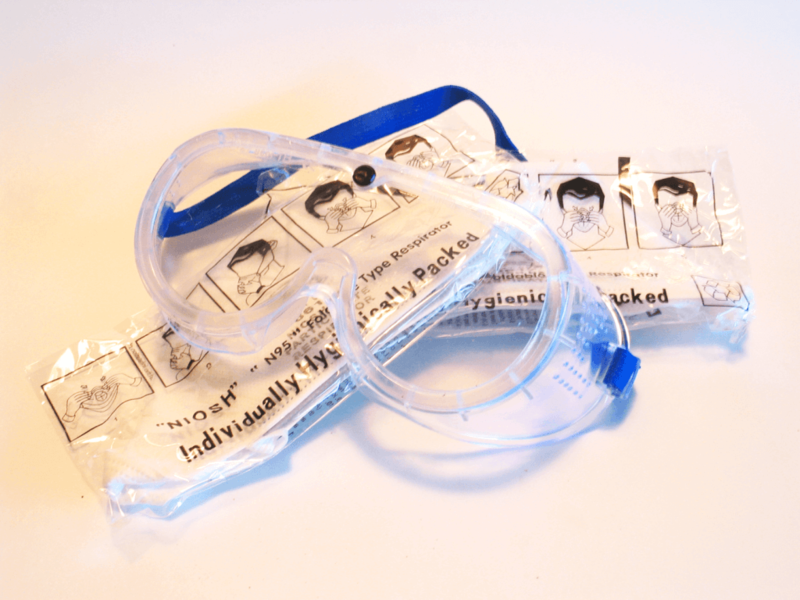 In your GHB are two N95-rated respirator masks and a pair of protective safety goggles. Though it won’t keep out all of the smoke, pouring some water on the outside of the mask will help you through it. For dust and eye protection, included are two N95 respirator masks and goggles to protect you from semi-hostile atmospheric situations. You’ve been walking for miles, and it is getting dark. Clouds are rolling in. The streetlights are dark, and strange shadows begin to fill the streets. 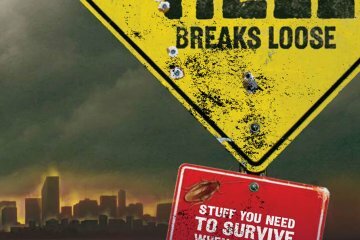 Looting, crime, and lawlessness starts to run rampant. Your Fenix LED flashlight has three levels, high (with 187 lumens), medium (90 lumens) and low (27 lumens). It takes two AA batteries, but the kit comes with six. On the high setting, you’ve got enough juice for seven hours of continuous use. 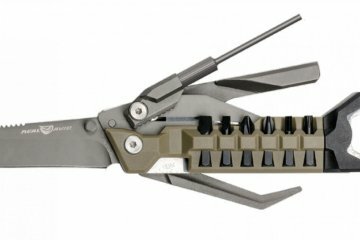 Keeping it at medium is less conspicuous, but you wish your pack had a knife (you should have gone with the SOG FastHawk option). When the rain starts, you’ll be kept dry by the emergency poncho, a clear plastic poncho (61 x 65 inches) large enough to cover you and your pack. 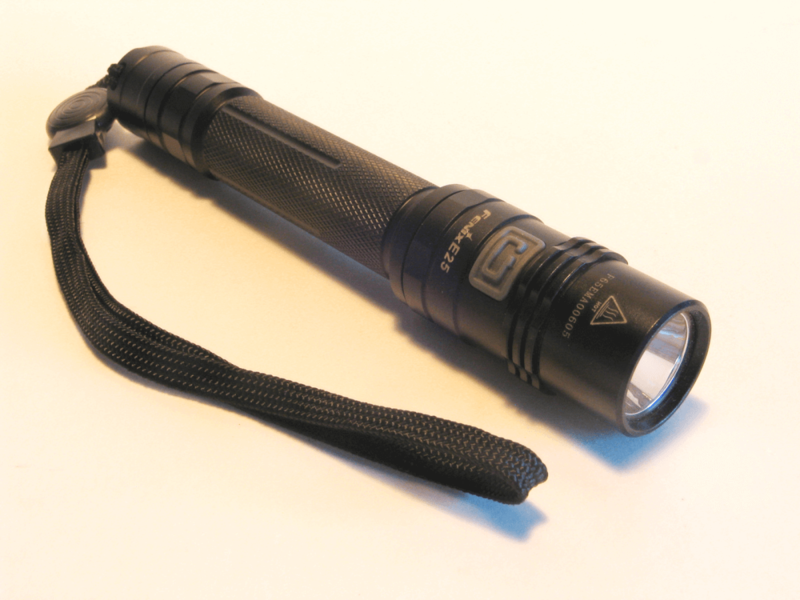 The Fenix E25 is a 187-lumen LED flashlight that is impact resistant and waterproof (to IPX-8) thanks to its aircraft-grade aluminum body. Running on two AA batteries, it can last for over two hours on high but up to 26 hours on low. Hours have passed. The rain has stopped but you’re getting tired and you’re not sure how much longer you can go on. Up ahead is a small neighborhood park littered with pine trees and a stand of shrubs that would provide good cover for the night. Survival Industries provides a thermal sleeping bag cocoon that will reflect heat back toward your body, and the Coghlan Emergency Tube Tent is easily erected between two trees with the help of the 50 feet of black 550 paracord and the Gerber Dime multi-tool. 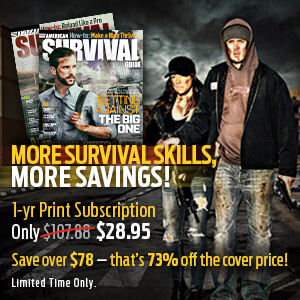 Also in the compact survival kit is an emergency blanket that can help stave off the cold. Along with the hand warmers you activate and put in key locations, you are fairly comfortable. 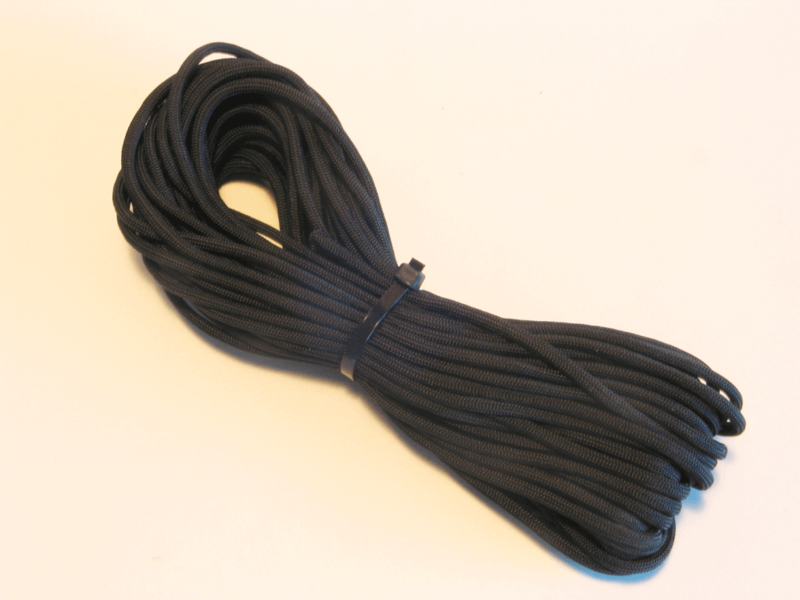 The 50 feet of paracord has a thousand uses, from helping set up a shelter to attaching a chemical stick to one end and swinging it above your head for an effective signaling device. Break out one of six 400-calorie food ration bars in the three-day provision pack, and some food fills your empty stomach. 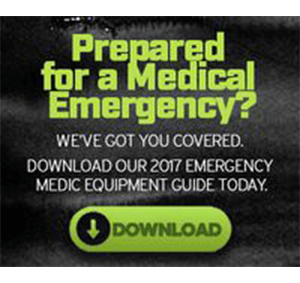 Sleep doesn’t come easy, so by the light of one of the two chemical light sticks, you thumb through The Wallace Guidebook for Emergency Care and Survival. 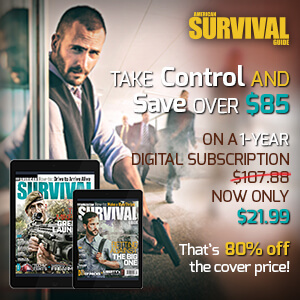 It is an interesting read, filled with very useful information for a wide variety of survival situations. Soon, amid the aftershocks and the rumbling noise of a city gone mad, sleep finds you. With the heavy-duty work gloves on, you attempt to scramble over the rubble of a damaged building but instead, trip and slice a significant gash in your knee. You can walk, but it is bleeding quite a bit. The Echo-Sigma Compact First Aid Kit contains exactly what you need: A tiny pair of folding scissors to cut away your pants, small tweezers to remove a couple of pieces of gravel, alcohol swabs, antiseptic swabs, sting relief swabs, sterile dressing and gauze. 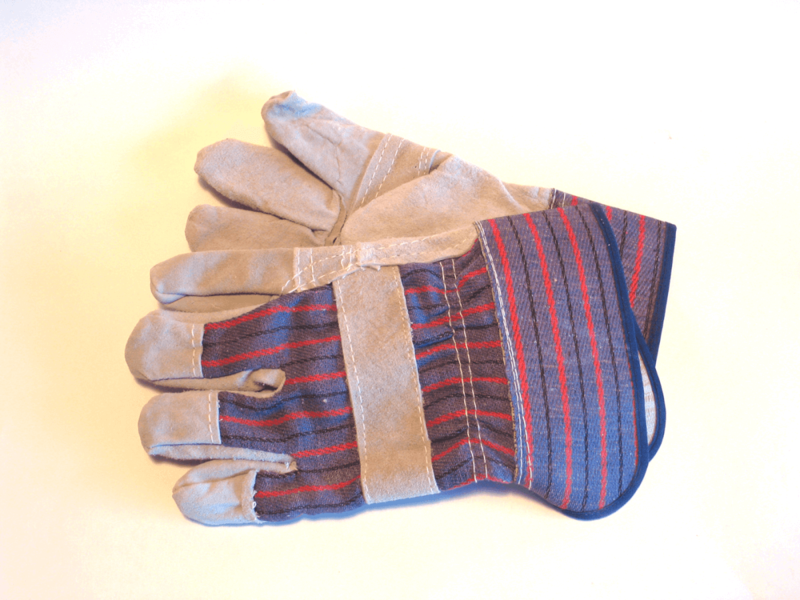 A standard pair of work gloves will keep your hands safe (and perhaps even clean) if you need to deal with potentially dangerous or sharp items. The slog continues, mile after mile. Your knee is completely swollen and walking is very difficult. 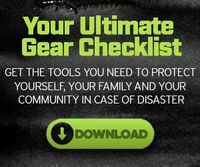 On several occasions, you considered giving up, sitting down and gathering your signal gear together to attempt to be rescued. The red pack itself stands out against the debris of the earthquake. The emergency tube tent is a very bright orange and the thermal sleeping bag and emergency blanket are very reflective. With all of the helicopter activity overhead, the best method to garner attention is the 2.5 x 4-inch Plexiglas signal mirror. However, upon looking up, you notice the bent and damaged welcome sign to your town. You’ve made it. Your street is just a mile more and it’s all downhill. So, while you’re sitting in traffic, you can be sure of two things: 1) An hour of slow-moving traffic is a lot better than walking for 18 hours; and 2) You have the comfort of knowing that there’s a high-quality Get-Home Bag sitting in your trunk if you ever need it. Just hope you don’t. The kit is designed to help you navigate, signal for help, secure warmth (three different means of starting a fire are included), protect you from the elements (sleeping bag, tube tent), deal with minor medical issues, provide provisions, and protect you from semi-hostile atmospheric situations (gloves, goggles, mask). The folks at Echo-Sigma have done a great job of including just the things you need while keeping weight and cost as low as possible. That said, nothing is perfect, so in addition to the contents of this kit, I’d consider adding a few things. First of all, you need a proper knife. 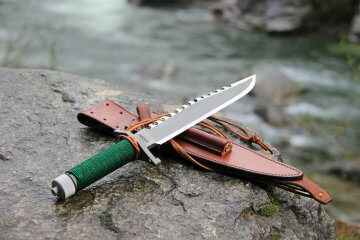 Next, I’d opt to upgrade the keychain Gerber tool to a more fully featured one. 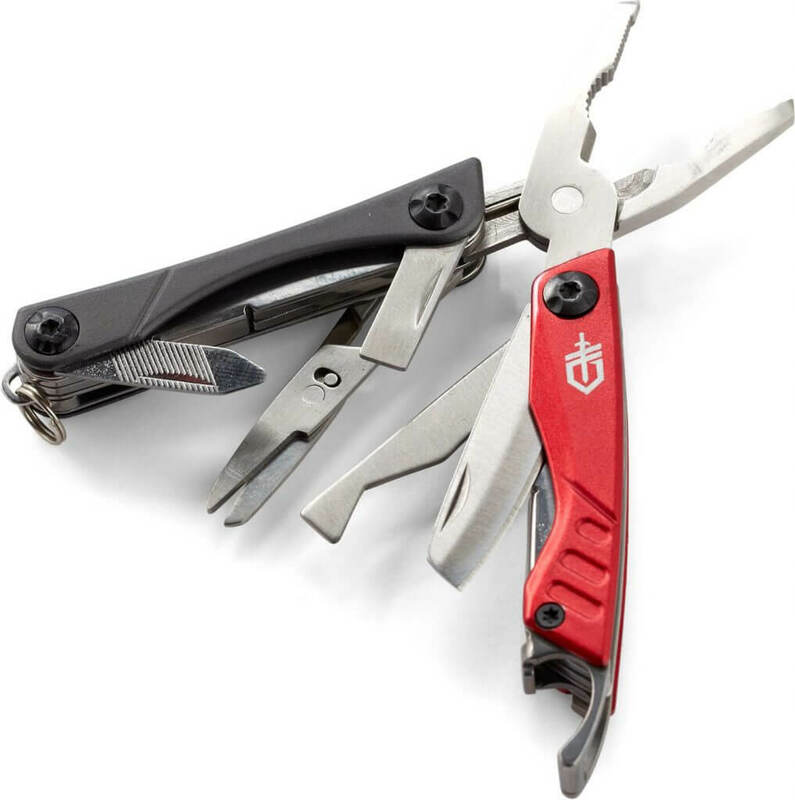 The diminutive Gerber Dime multi-tool includes: Needlenose pliers, knife blade, file, nail cleaner, small flat blade screwdriver, medium flat blade screwdriver, Phillips screwdriver, tweezers, and a bottle opener. The bag with all of its contents weighs about 16 pounds, but much of that weight comes from the 2.5 liters of water pouches that are included. 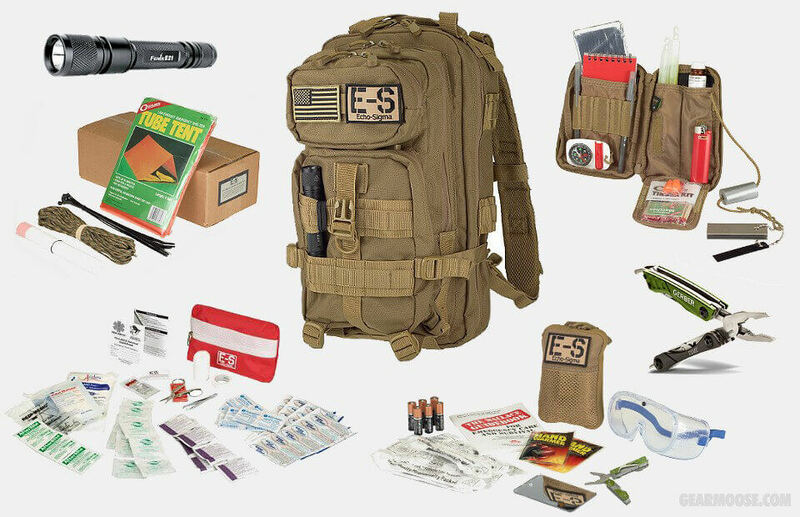 The Condor Outdoor Assault pack is a very sturdy pack, and there are a number of colors available: black, red, and coyote tan are all standard, while A-TACS and multi-cam patterns are offered as a $40 option on Echo-Sigma’s site. 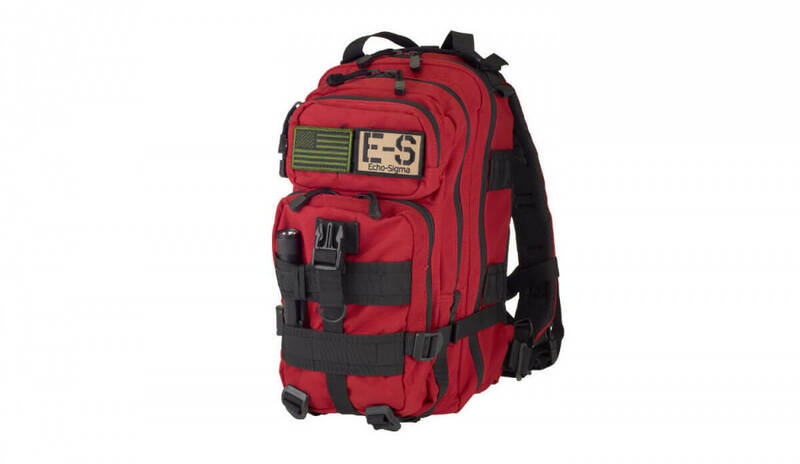 With plenty of webbing, Echo-Sigma’s GHB can host a variety of gear on the outside of the pack and at the ready when you need it most. 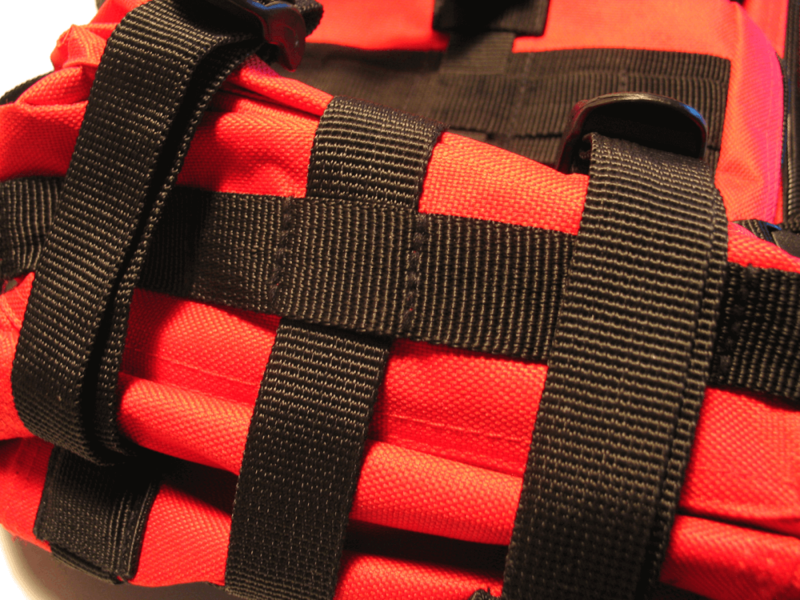 The bottom has webbing and two straps to add additional gear, such as a bedroll or even a full-size sleeping bag. 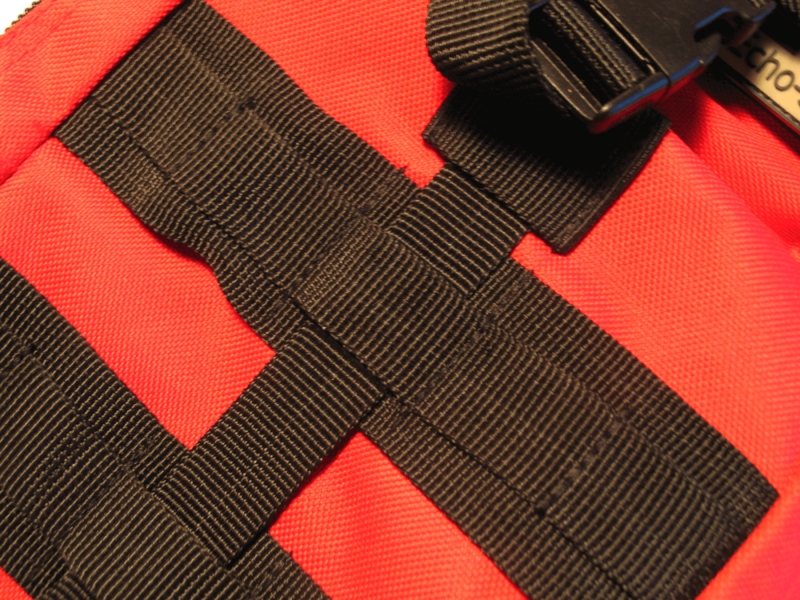 If there was a fault to be found, it is these shoulder straps. Though the padding is comfortable, the adjustment points are difficult to manage and quickly change, especially on the go and taking turns shouldering the load with someone else. 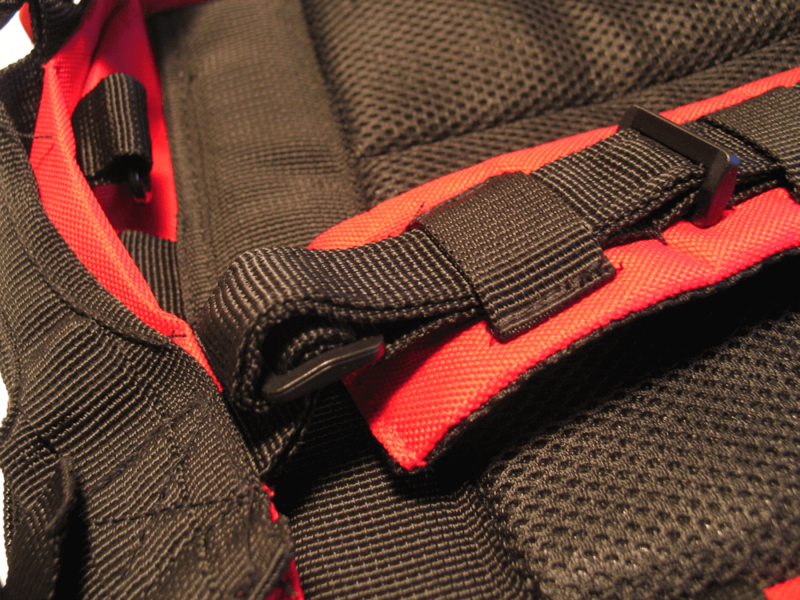 Each of the four compartments on the pack has double zippers but no rain shield. 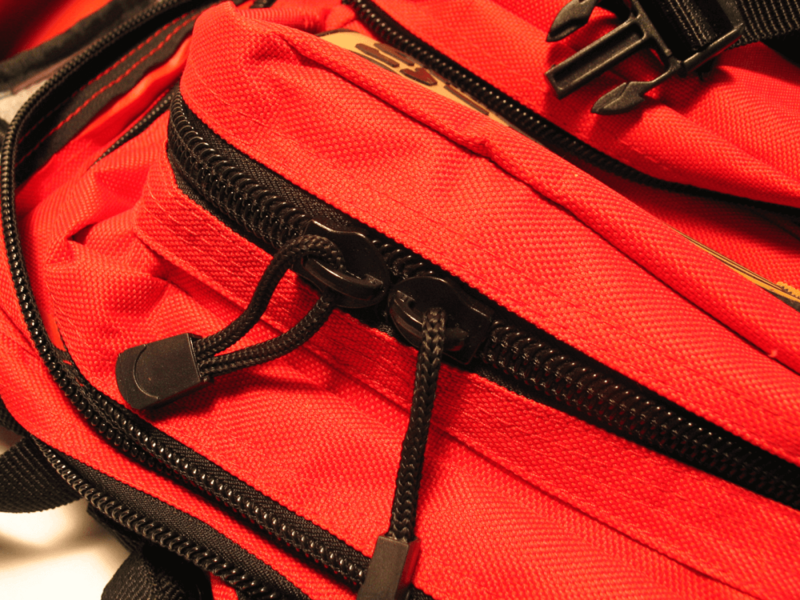 The zippers glide effortlessly and the pack opens very wide. The bag has a fairly extensive number of interior and exterior pockets which Echo-Sigma puts to good use arranging all of the gear that’s included, with enough space left over to include a few things that maybe are important to you or your climate/environment. One of the advantages of ordering directly from Echo-Sigma is the ability to upgrade some of the standard items. 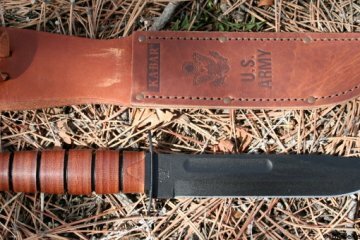 You can choose a different provision kit, upgrade the model of flashlight, add another multi-tool or tack on a folding shovel or even a tomahawk. 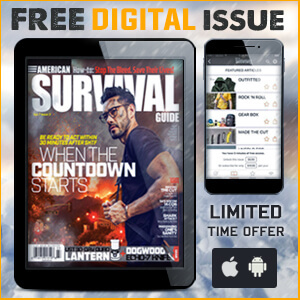 Editor’s note: A version of this article first appeared in the May 2015 print issue of American Survival Guide.